In recent years, the U.S has been in the throes of an opioid crisis. The word opioid comes from the word opium, which is a narcotic drug derived from the poppy plant and is used to make heroin and other synthetic drugs. It’s also often used in legal drugs and medications to help with pain management. The problem, however, is it’s highly addictive and is often abused in its legal or illegal forms, causing overdoses and deaths to many individuals. Families of victims of opioid overdose and death have recently been filing lawsuits against drug manufacturers and distributors. At the Hickey Law Firm, we believe that justice should be served if someone you love has suffered because of an opioid addiction or death. We’re here to help you fight for compensation so that your family can begin to move forward. If you’d like to learn more about how we can help you in an opioid-related claim, please call us today at 305-371-8000 to schedule your free consultation. We proudly help those who live in and near the Miami, Florida area. Opioids are drugs created to imitate the pain-relieving qualities of opium. 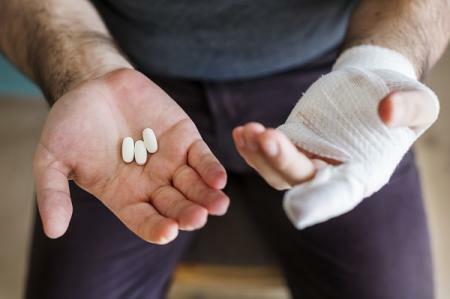 In medications, it’s used to treat acute or chronic pain after surgeries, treatment with many serious personal injuries, and terminal illnesses. The problem, however, is that because of how the drug interacts with the brain it not only reduces and temporarily eliminates pain but it also stimulates the brain’s reward centers, which release dopamine to create the euphoric “high” feeling, making it highly addictive to those who use it. Over the last few decades, pharmaceutical companies aggressively pushed opioid medications to doctors and the healthcare system. According to data from the market research firm IMS Health, opioid medications prescribed by doctors increased from 112 million in 1992 to 282 million in 2012. The issue is that many people become addicted to the drug during their rehabilitation or once the treatment period ends. This has caused many to continue to abuse legal prescription pain medications or move to illegal drugs like heroin or illegally-made fentanyl. Because of these addictive properties, opioid overdoses have become a serious problem in the U.S. According to the Centers for Disease Control and Prevention (CDC), there were more than 63,000 overdose deaths in 2016 and 42,249 of those were related to opioid use. The CDC and the federal government have been creating awareness about this growing epidemic over the last few years, showing the correlation between over-prescribing the opioid medications with the rise in opioid addiction and heroin use. Lawsuits for opioid-related overdoses and deaths have been on the rise as the crisis increases across the country. These can be against pharmaceutical manufacturers or distributors for knowingly pushing doctors to use these medications and doctors who overprescribe the medication, leading to addiction, and possibly overdose or death. Purdue Pharma, the maker of Oxycontin, which is a highly-addictive opioid-based medication, has been at the forefront of lawsuits dating back to the early 2000s. In fact, in 2007, the federal government brought charges against executives of the company for knowingly misleading and defrauding doctors and consumers about the drug’s addictive properties. Unfortunately, though, opioid medications are still used for pain treatment and abuse is still rampant among those prescribed and not prescribed to the drug. According to the Substance Abuse and Mental Health Services Administration, over 11 million Americans aged 12 and older had abused or misused prescription pain prescriptions in 2016. Because opioids are highly addictive, the body becomes tolerant and ends up needing more of the drug to produce the same effects. This leads many of those who abuse pain medications to switch to heroin because it’s significantly cheaper than opioid medications. The experienced lawyers at the Hickey Law Firm can help to see if you have a case for an opioid-related overdose or death. If someone you love became addicted to pain medications and overdosed or even if they switched from medications to illegal drugs like heroin, you still may have a case. Please call us today at 305-371-8000 to schedule a free consultation in the Miami, Florida area.